Shortly after Olin was born, in the summer of 2017, we set a goal to be on the road, searching for a home by May 2018. By fall of 2017 the hunt for a van was on! 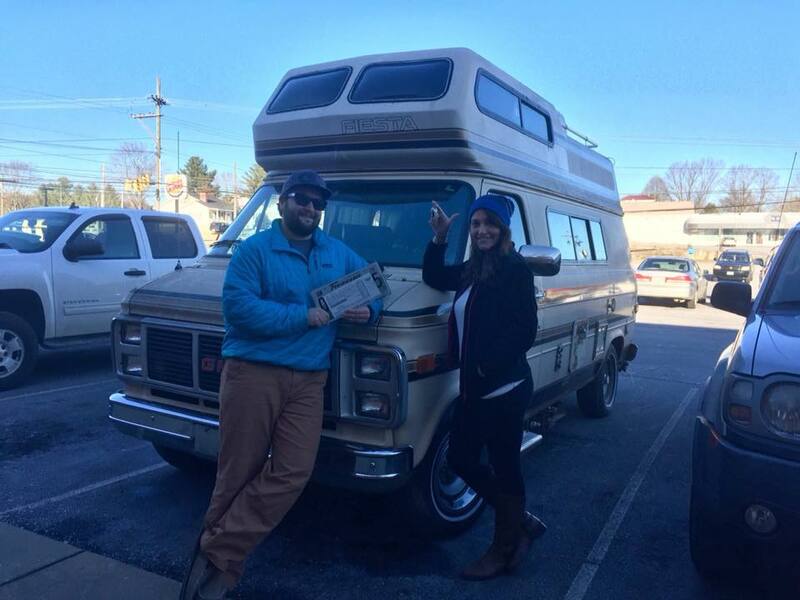 We spent months searching Craigslist, Facebook, and traditional classified ads on a quest to find the perfect van that would not only take us across the country, but provide enough room for the dogs, baby, us, and all of our gear. 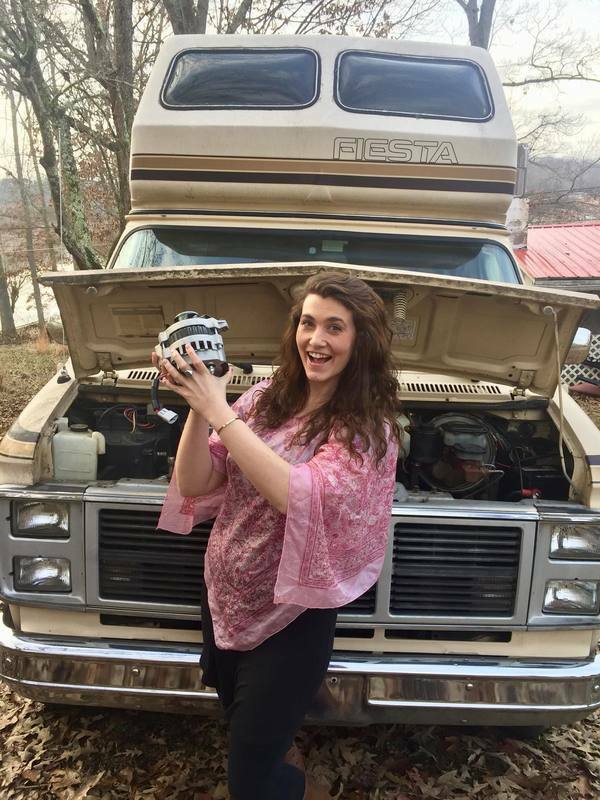 After making a Facebook post on a local yardsale page in early January, a couple in Erwin, TN reached out to us and said they had a low mileage, great condition, camper van from the 80's that just needed some minor work. Excitedly, we headed to their house that afternoon to check it out and take her for a test drive. When we arrived, we were told that it had belonged to the woman's father, and after he passed, the van pretty much became lawn art and was used as their storage shed. The couple took us to their backyard and we saw what would be our future home for the first time. The first time we opened the doors, we could not even enter the van because they had kayaks, lawn chairs, and many other things stacked throughout the van. Collin climbed into the drivers seat and we took the van on a short test drive, and right then knew it was the one. The couple was asking more than we had in our budget, but agreed they would not sell it to anyone else while we waited for our tax returns & deposits from our condo to help get us the additional $2000 in funds we needed. On January 30th, we finally had enough to bring her home. 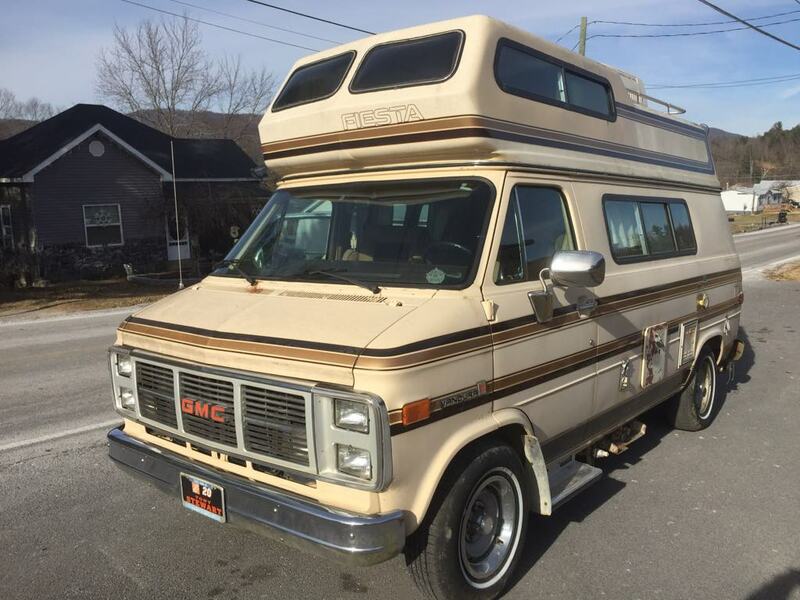 Other than these issues, the van ran very strong, had little rust, and had paperwork to prove that the 36,000 miles on the odometer was accurate. We got to work on fixing these issues right away, and it took us almost all of the 4 months to get them worked out, and make additional changes to better suit the van to our needs along the way. The two of us did as much as we could do ourselves, but did need to take her into a mechanic to fix the electrical issues with the turn signals, headlights, and propane system. Added insulation, new platform, & babygate to Olin's "Koom"
These were the basic mortifications that we needed to get us through the summer. We still have many plans in the works! Sleeping: Olin sleeps in the overhead, pullout bed which we modified with a babygate so that she cannot fall. Mom & Dad sleep on the pullout queen size bed that doubles as a couch. The dogs have a bed underneath the pullout bed, can sleep on the swivel chairs, and have been known to sneak into bed with Mom & Dad in the middle of the night.